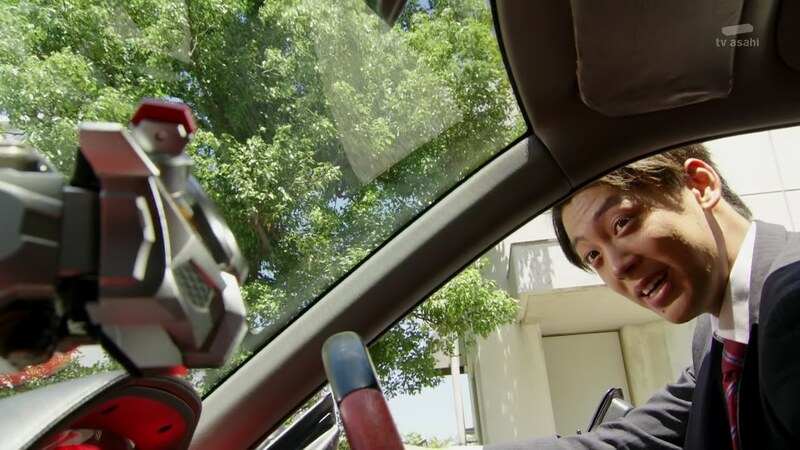 Recap: Kamen Rider Drive, Episode 43 – When Will the Second Global Freeze Happen? Chief Jun and Rinna are meeting with National Bureau of Defense aide Togama Akio. The Special Defense Center is finally in full operation and will soon be home of the SID. Togama has two requests for them. First, he hopes they could put the Pikopiko Gravity Shift Particle Detector into mass production. Rinna says they’ve already begun prep for that. The second request is to investigate a specific case. Otta, Kiriko and Kyu look over evidence showing the Roidmude possibly planning a large-scale terrorist attack at a certain area of the city. Maybe another Global Freeze? With only 22 Roidmude left, it’s time to get serious. Meanwhile, Shinnosuke and Chase are in the cafeteria drinking beverages with awkward silence. Chase asks Shinnosuke if he loves Kiriko. Shinnosuke tries to deny it, but Chase saw him creeping on them on the rooftop and his tense reaction. 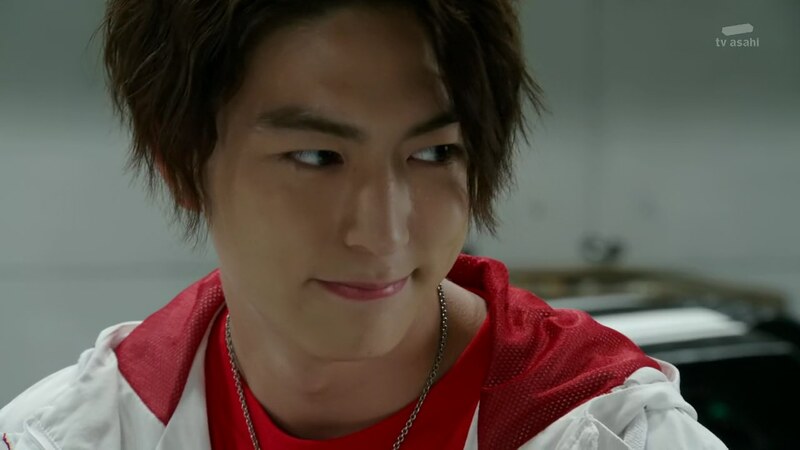 The same chest tightening he has when he looks at Kiriko too. Shinnosuke continues to deny such a thing and says Kiriko as a woman is absurd, she’s just his buddy. Very unappealing as a girlfriend. Kiriko pops up and tells them they’re starting the investigation. 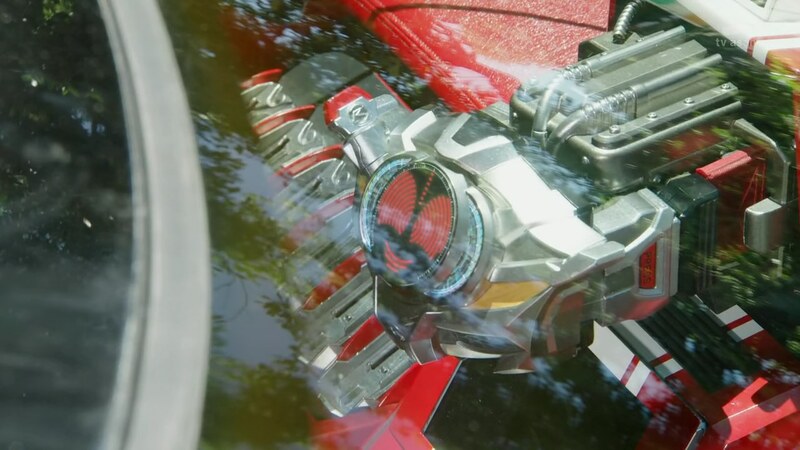 Shinnosuke starts seeing Kiriko glow and hurries on ahead. Chase has no doubt Shinnosuke feels the same toward Kiriko as he does. Alone, Shinnosuke begins thinking back to all the times. Maybe he really has been in love with Kiriko this whole time. Across town, Heart, Banno and still-under control Medic are at the site of another Roidmude defeat. Banno says this is more proof they must set off another Global Freeze to keep more Roidmude from being destroyed. They must work together. With no one else to reach Ultimate Evolution, Banno says he is their only choice. All they must do now is gather the Promised Number and they can grab the Promised Land. Seeing Medic’s condition, Heart seems to have no other choice. One of the reaper things reports to Banno that they’ve found Brain. But Banno says that info is already late and proceeds to beat the Roidmude. Heart, remembering his own abuse, goes to protect his comrade. He hopes Brain has been able to run away. 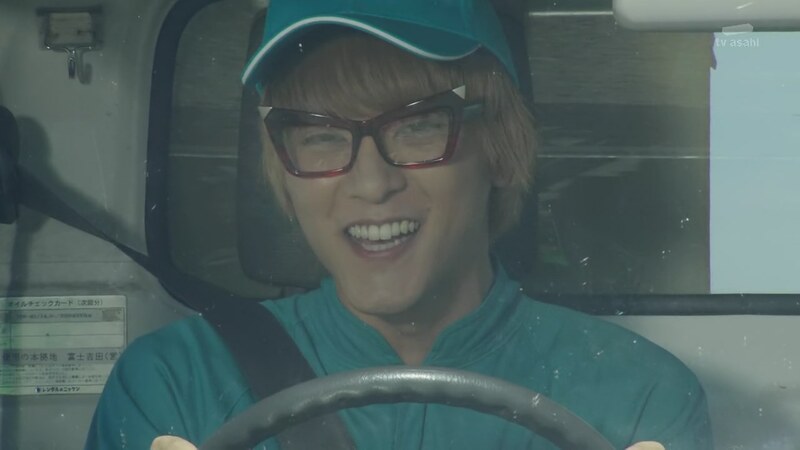 Brain, still with glasses and handkerchief, thinks his delivery truck driver disguise will keep him out of Banno’s sights. 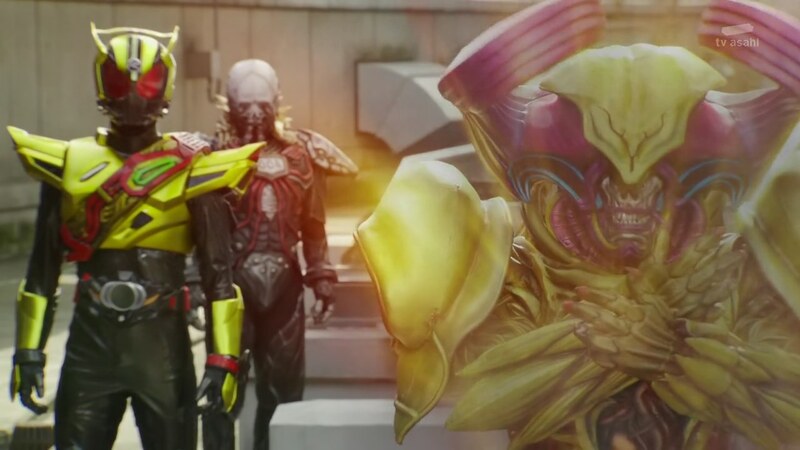 But Medic and three Roidmude attack his truck and they crash. 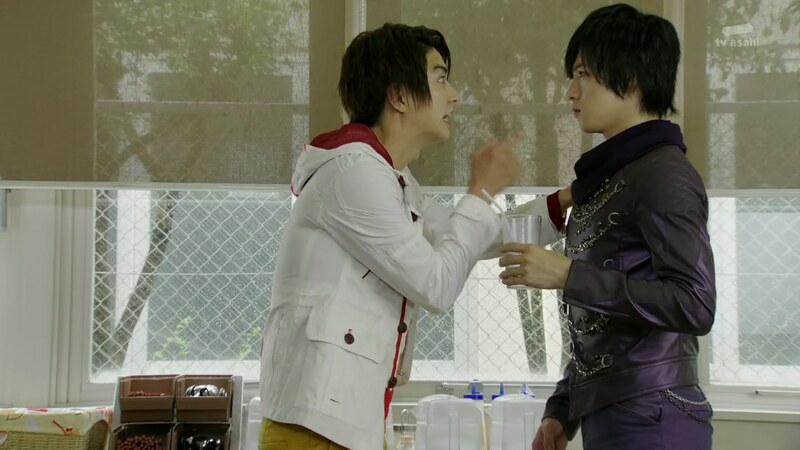 Shinnosuke, Gou and Chase head to the scene where they find Medic and Brain fighting. They don’t know what’s going on, but Gou says they’ll just have to finish them all off. Brain poofs himself away and the guys return to the Pit. Belt-san recaps: Banno is now the leader. The Promised Number consists of four. And the plan is to initiate another Global Freeze. The last time, the Gravity Shift only froze a quarter of the world. Now with four Ultimate Evolved Core Drivia, that Gravity Shift can increase in power by four or five. Shinnosuke and Kiriko remember their experiences from that horrible night. But Shinnosuke assures Kiriko they will not let any of that happen again. Chase and Gou nod in agreement. Belt-san adds that the four will gather at the Promised Land, which is the location Otta and Kyu are looking into right now. They guys are ready to head out, but Rinna says they cannot henshin right now because she’s working on data-coating the Henshin Shift Cars and Trailer-hou so they cannot be taken by Banno. Back with the Roidmude, 004 appears with what Banno calls a control unit. Heart is surprised because 004 had been missing. But he has been working for Banno all this time. In the meantime, Chase decides to talk to his future brother-in-law Gou. They’re also enjoying beverages in the cafeteria when Chase drops the bomb on Gou. Chase asks who Gou thinks Kiriko loves. Gou thinks this is some big joke. Chase says he asks him because he may be the only one who knows. Gou says why would he since they’re not buddies. “No,” Gou says. That’s impossible because he’s a Roimude. Chase remembers all their moments together. He wonders if that means Kiriko cannot accept love from things that are not human. 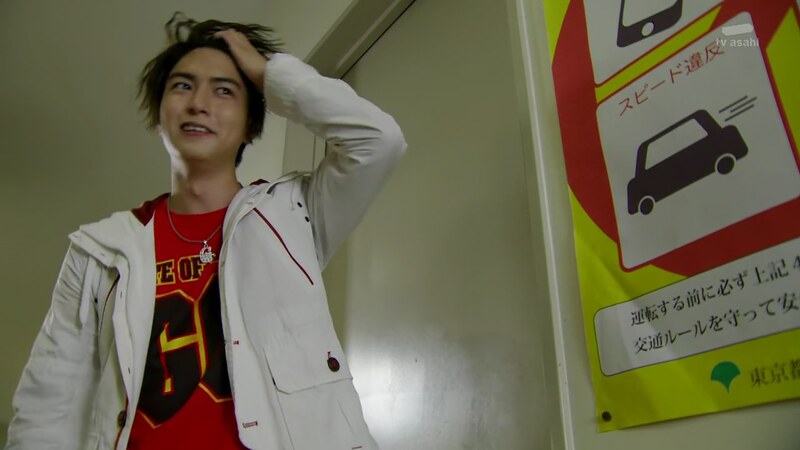 Gou thinks Chase has really lost it. Meanwhile, Brain borrows a woman’s tablet to find some data center he can use to analyze Medic’s code he copied earlier. He finds a place that looks very familiar. The Central Intelligence Agency. He pops on over and remembers this is the place he came to on the night of the Global Freeze. He came across a man, Kineta Mitsuharu, who turns out to be a 24 year old deputy director of the CIA. A genius programmer and a brilliant assistant to his bosses who is never seen without his handkerchief and glasses. Aha! 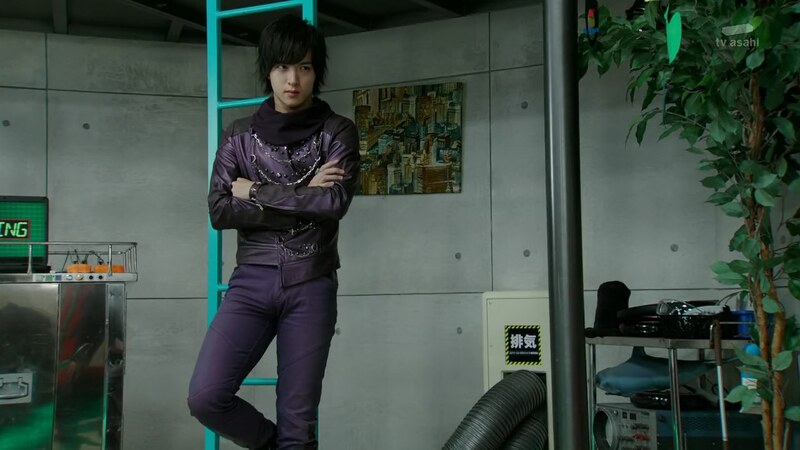 Suddenly, Dark Krim appears with Banno. Across town, Shinnosuke asks Belt-san for some advice. Belt-san is shocked. How would he know? He’s been single all his life too. But he gives it a shot. Belt-san believes Kiriko only has sympathy for Chase. All Shinnosuke has to do is be himself. If he tries to act like a cool guy, he’ll most certainly lose her. Anyway, their focus right now is to stop the Global Freeze. Belt-san says he’s happy Shinnosuke was able to confide in him. He didn’t have a family, but this must be what it feels like. 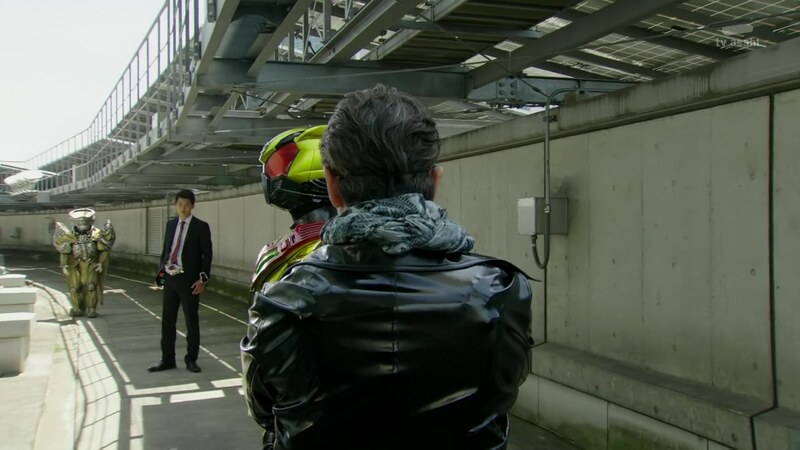 Bano and Dark Krim/004 drive Brain to the rooftop where Shinnosuke and Kiriko arrive. They are shocked to see Dark Krim. Banno explains 004 copied Krim the night he died and suppressed Krim’s memories. He has since been reprogrammed by Banno to be his servant. Banno says he’s lucky they never destroyed 004. Now he even has Krim’s mind as well. That’s how he was able to create Gold Drive. Banno and Dark Krim charge toward Brain, but Shinnosuke stops them and tells Brain to run. The newly coated Shift Cars arrive and withstand Banno’s attempt to take them. Shinnosuke henshins directly to Tridoron and takes on Banno and 004 who manage to take Handle-ken and Door-ju. 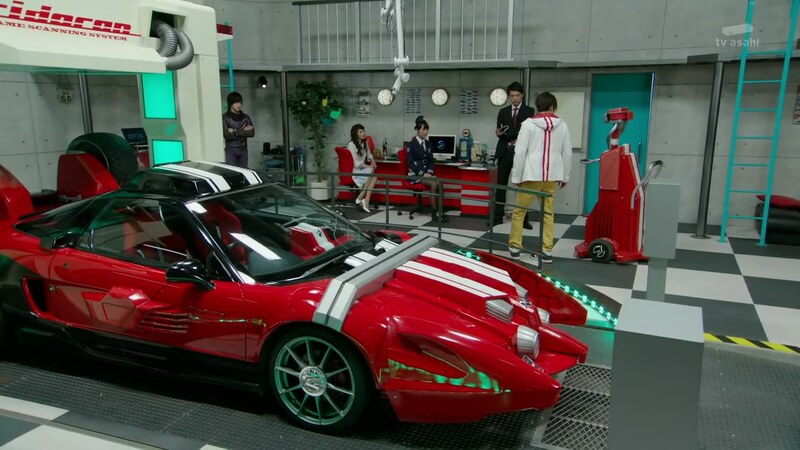 Shinnosuke decides to use Trailer-hou and the Wild Shift Car, but Banno summons Heart who absorbs the Wild attack. 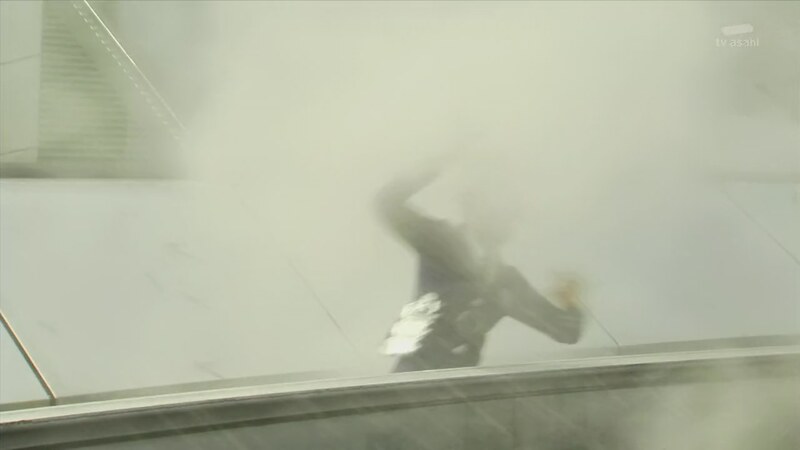 Heart says he was ordered to be Banno’s shield as this is the only way to save Medic. He warns Shinnosuke that unnecessary sympathy will only doom him. The Global Freeze will happen and Shinnosuke and Heart are destined to battle. Heart unleashes a blast that buries Kiriko. The abrupt tonal shifts between slapstick insanity to dark and serious in this episode would fit perfectly well in the middle of the season. I am easily amused and I definitely had fun with the random bits of insanity throughout the season. But the plot points in this episode, again, would’ve been great to have earlier in the season and then watch everything unfold from there. I guess I’ll talk more about it in my final review of the season, but I’d say, truncate the season that we did/will get and then tack on whatever the movie’s story is. That would’ve made for a great season with a fuller, fleshed out story. All this Promised Number and Promised Land stuff still feels so thin and really hollow. Did Krim/God promise them some nice land by the Mediterranean? Anyway, it seems we’ll finally get some more character stuff from the idols next week, Brain especially. I at least hope they can deliver with that. Overall, an alright episode I wish I was more excited about. ← Recap: Shuriken Sentai Ninninger, Episode 26 – It's Summer! Last Ninja Midterm Report! 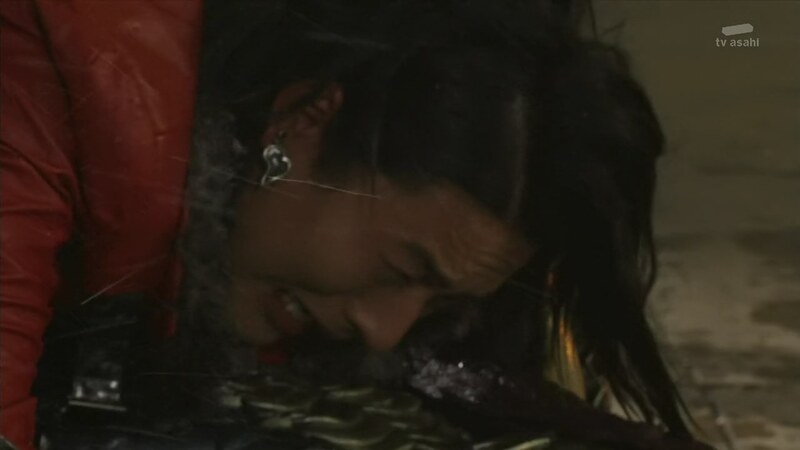 I’m not going to say anything bad on the Shinnosuke/Kiriko love. 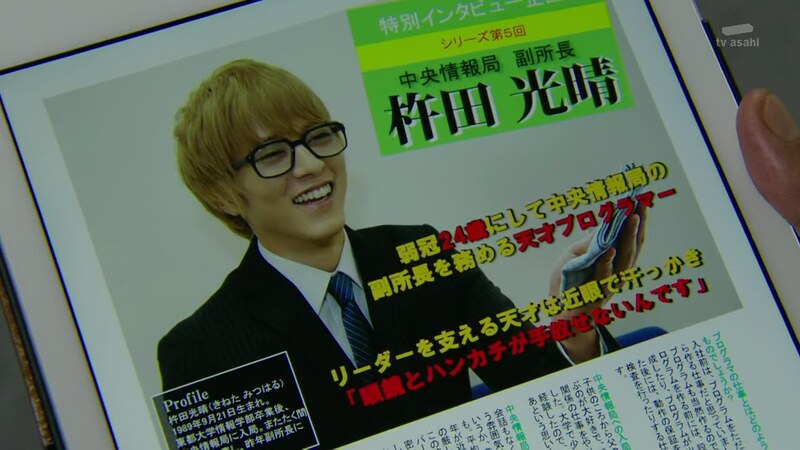 But since Shinnouke and Kiriko are friends he should be fine with who Kiriko’s dating. 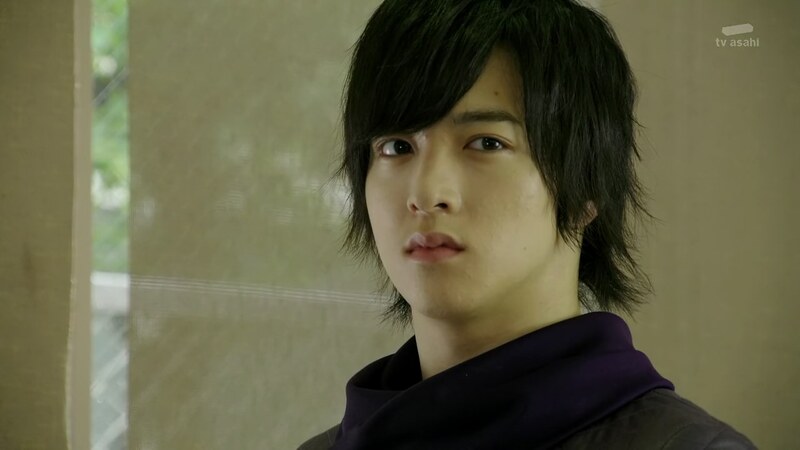 Also I think Kiriko will love Chase because of what happened in episode 16. Man, this is awkward. And I definitely don’t mean that in any positive sense. Again, I can’t help but look back to Gaim. While the whole Kouta-Mai-Micchy love triangle was a lot more subtle, it definitely felt way more integral to each individual character’s narrative (Micchy’s jealousy fueling his descent, Kouta being torn by what happens to his best friend, and so on). Here, I don’t know. It feels like they’re just tacking this on while ticking some checklist. Indeed! I actually even felt like Gaim was too subtle with it. Exploring it a little more would’ve fit in well with all the other angst that was already present in the season.